Purchased for £2 at a car boot sale in Cornwall, April 2010, complete with leather case and instruction manual. 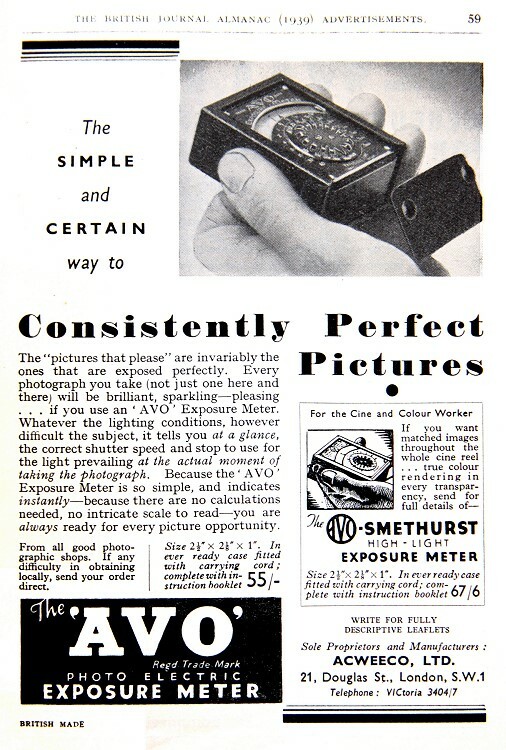 The "Avo" Exposure Meter was released in the late 1930's, a variant "The AVO Smethurst High-Light Exposure Meter was also available. 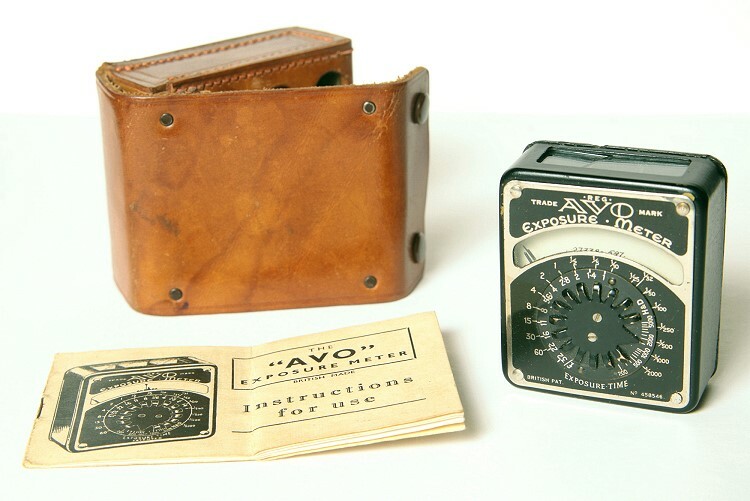 Other AVO meters were also made and sold under the Ilford brand name.